Books are so important that some regimes have burned them. There have certainly been books which have marked me as permanently as a branding iron. The first I can remember was a biography of Anna Pavlova which made me want to become a dancer. Another book which changed my life was Hemingway’s A Moveable Feast which, with 20/20 hindsight, encouraged me to think of writing as something I might do. It also made me determined to come to Europe as I wanted to see the Paris he had written about so poignantly. On my arrival in Europe I spent a month there, surviving on $5 a day. Four weeks in a bug-infested hotel on the Quai de la Tournelle whose only advantage was that I could see Notre Dame from my window. 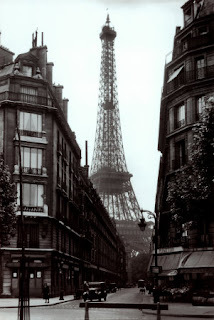 Walking from one end of Paris to the other, I could hardly believe that I was in the city of two of my literary heroes. Standing in the Place de la Concorde where the statue of Louis XV had been replaced by the Obelisk of Luxor, I saw not only the stone needle pointing to the sky, but something that had never physically existed: the knitting needles of pitiless Madame Defarge secretly stitching the names of victims who would one day lose their heads. Stay tuned . . .